Between 1950 and 1964, Meyer Wertlieb rented a garage in Washington D.C. to James Hampton, a janitor who worked at the General Services Administration. When Hampton died, Wertlieb opened the garage and found a throne. Hampton, the son of a minister, had been born in South Carolina in 1909. In 1928 he moved to Washington to share an apartment with his older brother, and in 1931 God and his angels told him to make a throne for the second coming of Jesus Christ. 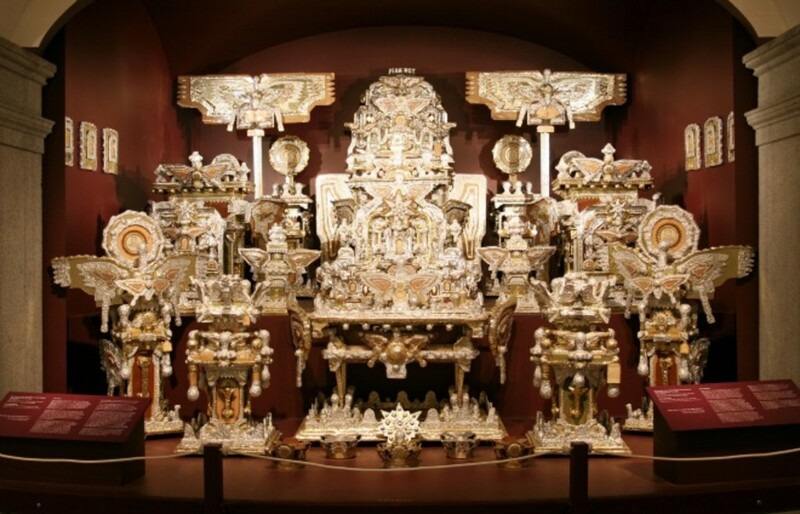 Working for hours in the middle of each night, he spent 14 years building what he called “The Throne of the Third Heaven of the Nations’ Millennium General Assembly,” piecing it together from aluminum foil and cardboard boxes, jelly jars and light bulbs. God visited him regularly to check on his progress. The BIG Maze, a temporary installation at the National Building Museum in 2014, inverted the idea of the traditional Renaissance maze: Instead of getting more bewildering as you advanced toward the goal, it got easier. Kids who wanted an overview could ride on their parents’ shoulders or go up to the building’s mezzanine in order to memorize the layout. 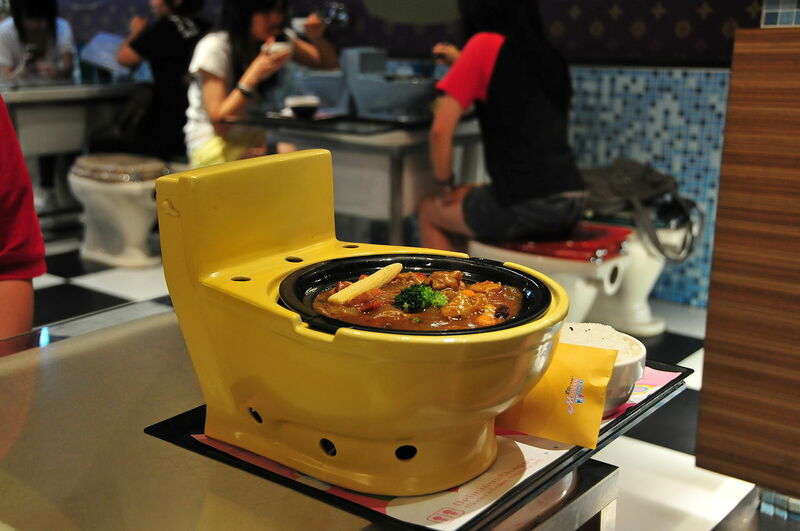 Taiwan’s Modern Toilet restaurant is so popular that it’s expanding into China and other parts of Asia. Patrons sit on acrylic toilets around glass-topped sinks to eat food from miniature toilet bowls and drink from plastic urinals. The desserts include “diarrhea with dried droppings” (chocolate), “bloody poop” (strawberry), and “green dysentery” (kiwi). 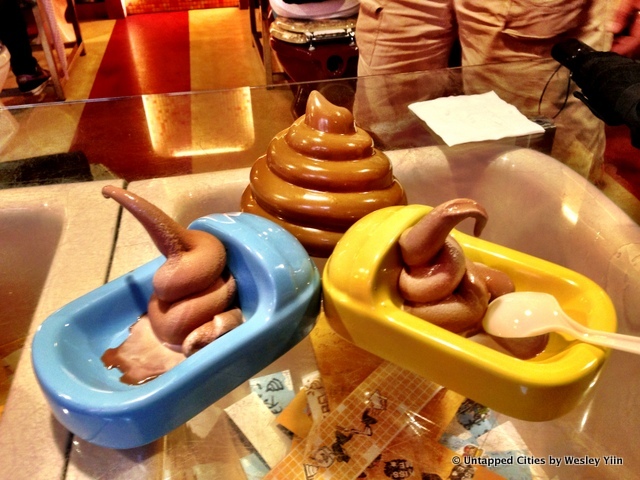 Owner Wang Zi-wei began by selling chocolate ice cream in paper toilets, inspired by a cartoon character. When the idea took off, he opened the full bathroom-themed restaurant in 2004, with shower heads and toilet plungers among the decor. Designed by Baroque architect Francesco Borromini in 1632, this gallery in Rome’s Palazzo Spada is a masterpiece of forced perspective — though it appears to be 37 meters long, in fact it’s only 8. The effect is produced by diminishing columns and a rising floor; the sculpture at the end, which Borromini contrived to appear life size, is only 60 centimeters high. Humans tend to abuse sea creatures, so digital artist Neil Mendoza gave them a way to fight back. As Smashie the fish swims around his aquatic habitat, he takes aim at the human habitat outside; the hammer drops periodically when a rotating cam releases it. 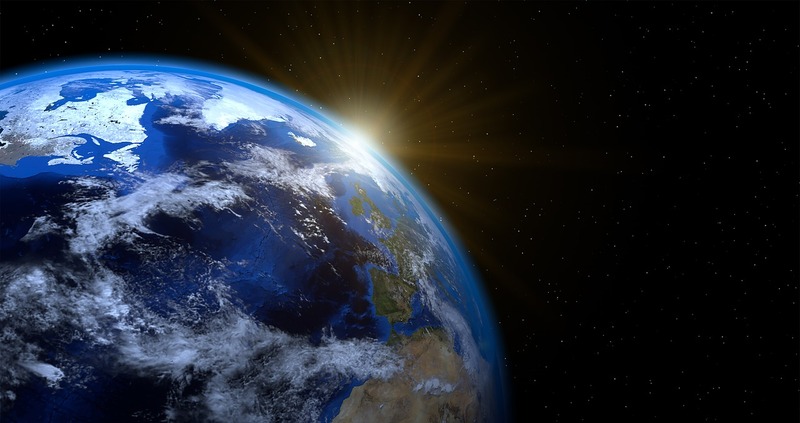 Mendoza created the project through Autodesk’s artist-in-residence program. You can build your own “fish hammer actuation device” with the instructions here. I was standing on this step of the portico on the Sunday morning of the 3d of May, and was giving direction to the battle, which was now raging with great fury, the cannon-balls reaching me from both the east and the west, when a solid shot struck the pillar near me, splitting it in two, and throwing one-half longitudinally against me, striking my whole right side, which soon turned livid. For a few moments I was senseless, and the report spread that I had been killed. But I soon revived, and to correct the misapprehension, I insisted on being lifted upon my horse, and rode back towards the white house, which subsequently became the center of my new position. 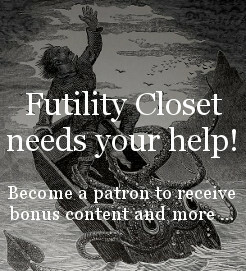 Just before reaching it, the pain from my hurt became so intense, that I was likely to fall, when I was assisted to dismount, and was laid upon a blanket spread out upon the ground, and was given some brandy. This revived me, and I was assisted to remount. Scarcely was I off the blanket, when a solid shot, fired by the enemy at Hazel Grove, struck in the very center of that blanket, where I had a moment before been lying, and tore up the earth in a savage way.